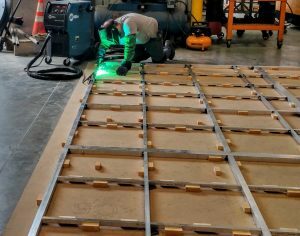 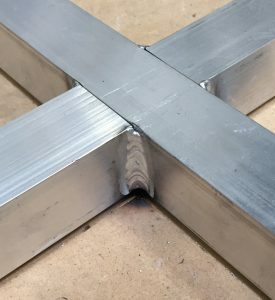 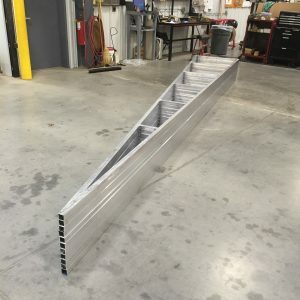 Aluminum Amphitheater Fabrication | Fort Miller FAB 3 Corp.
Over the course of the past month, we have been working closely with one of our customers that is involved in the theater and entertainment industries, to fabricate an Aluminum Amphitheater for a performance in New York City. The timeline on this project was very aggressive and the tolerances required were very tight. 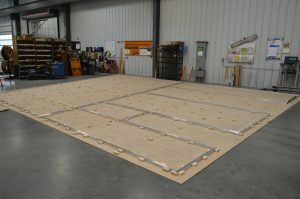 The overall structure was 56 feet wide, 37 feet tall and 26 feet deep. 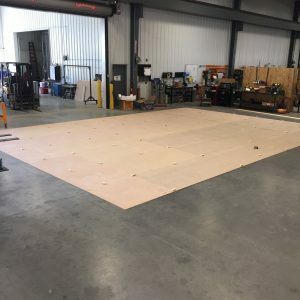 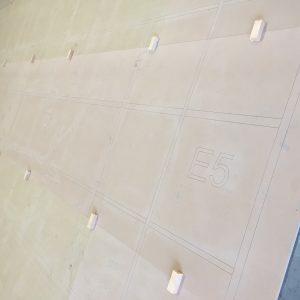 As you can see from the pictures below, the walls, ceiling, portal and jack frames were all built on full size MDF templates, to ensure that all of the individual panels will bolt up properly for the field installation. 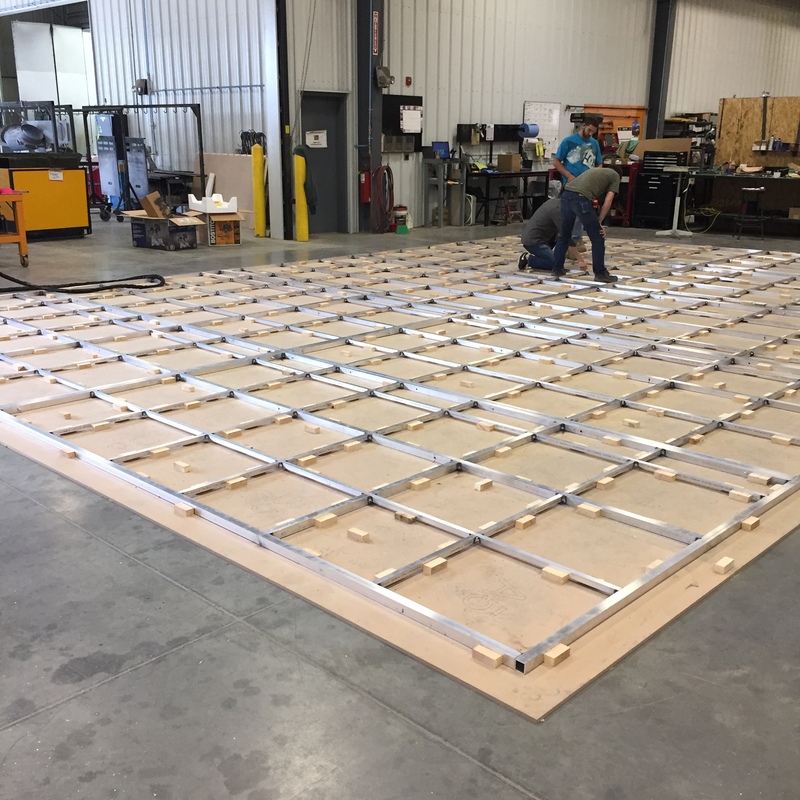 We were able to finish this project a day ahead of schedule, which leaves our customer some extra time to apply the finished skins on these panels and ship them down to NYC to be assembled for the performance later this month. 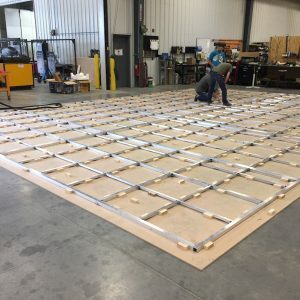 Here at FM FAB3 we have the capabilities and capacity to meet tight timelines and be responsive to our customers’ needs. 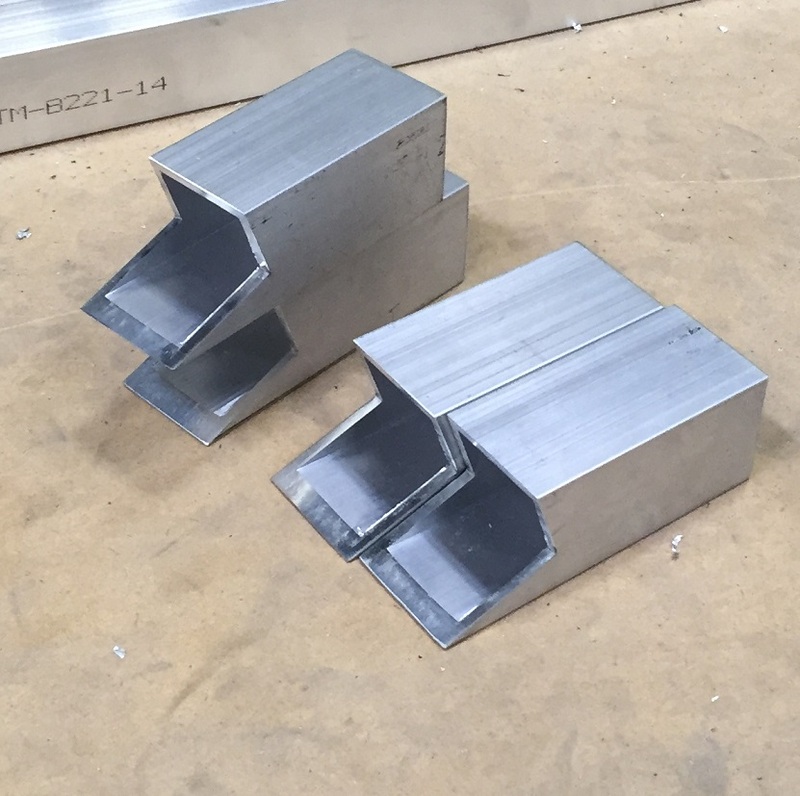 If you have an upcoming job, be it with steel or aluminum, please contact our Sales Team to see if we can offer value to your project.